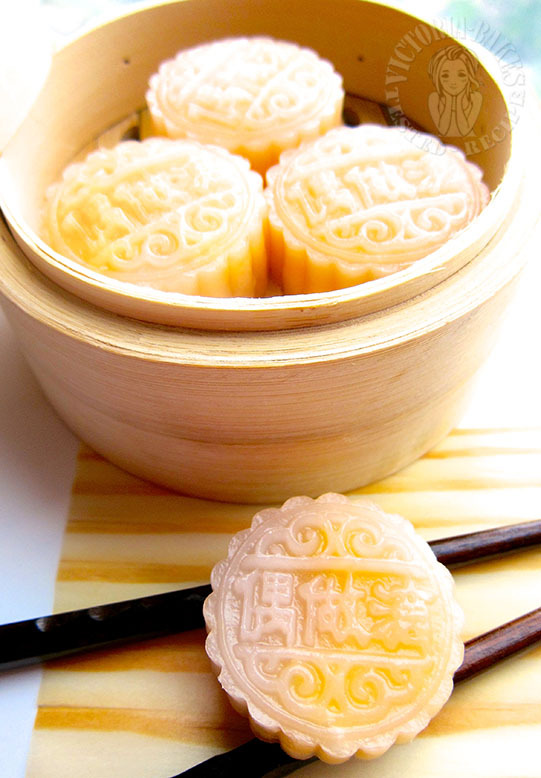 i still have half a bag of ding mien fen (澄粉) leftover from making the snowskin mooncakes..
……and dim sum is served……. wow looks amazing 🙂 wonder what it looks like inside..must be decadent! agree with the thinking ahead (snooker strategy lol)! 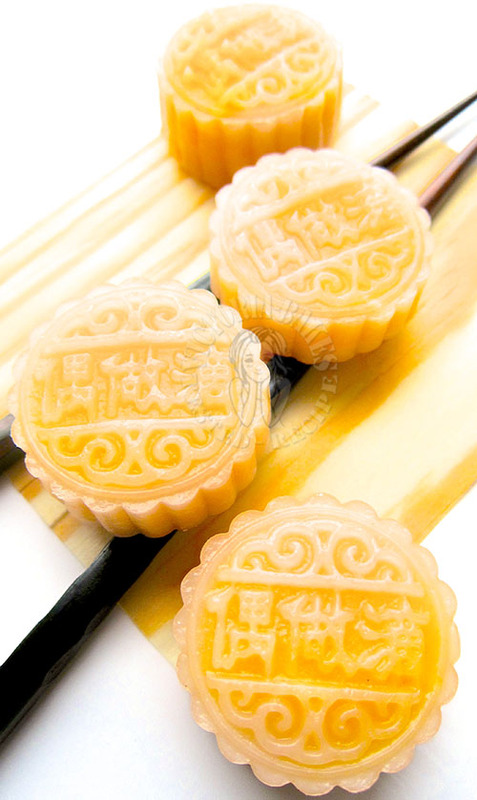 Wow, looks looks really amazing, you are so clever to use your mooncake mould to do this…really pretty! Wow, looks beautiful! What a lovely twist for making buns! Love it! 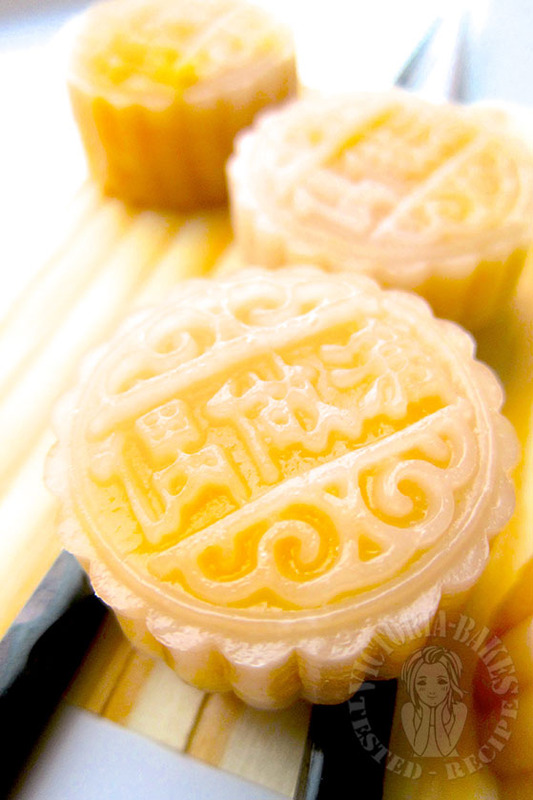 Hehehe……it sure look like snowskin mooncake! I never eaten this steamed crystal custard bun before nor really had heard of it (am I a country bumpkin???). This mst be yummy in taste. Wish I could have a look at the innards of this bun. 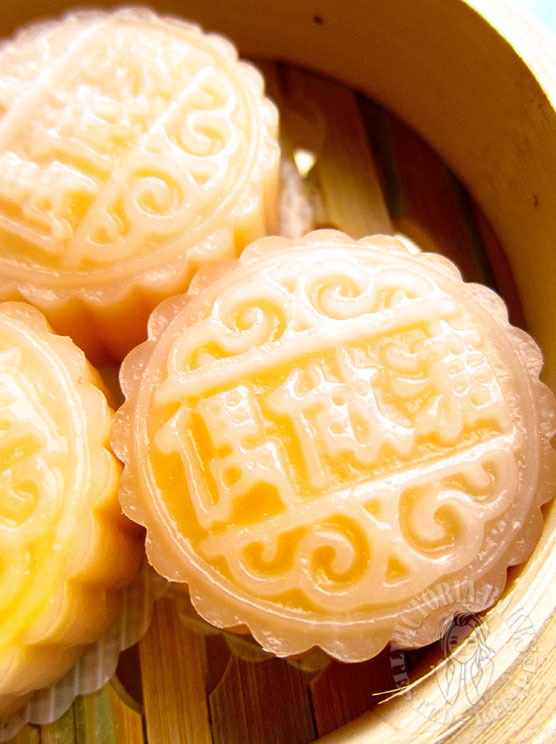 You are very clever, using your mooncake moulds to make these crystal skin buns. They look very pretty! Hi, Thanks for the recipe. What salad oil did you use? Thank you. Hi Queenie, you may wish to the personal notes portion on preparing the custard over a pot of simmering water. 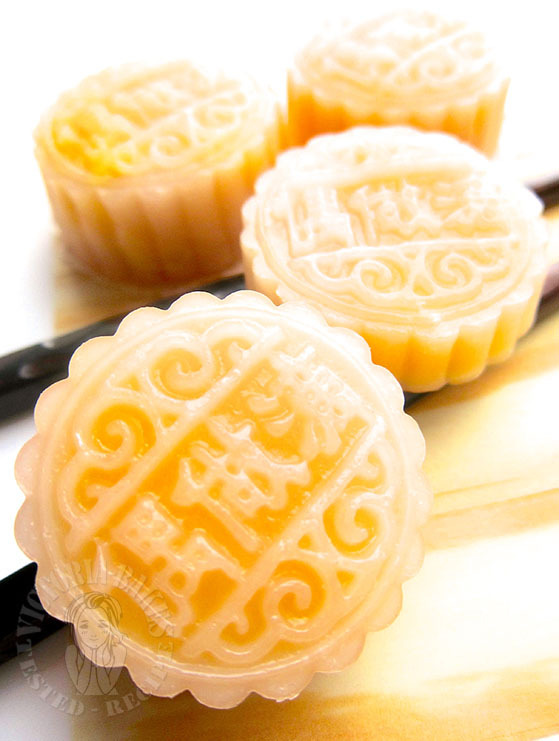 you can steam bun with steamer or in a wok of boiling water over high heat for about 5 mins then check ~ bun is done when you can see through the skin. Wow beautiful crystal buns ! Thanks for sharing as I like crystal buns but have not tried making it. Bookmarked it !